Divorce, child custody and other family legal matters can have far-reaching, long-term impacts on your family, your relationships and your future. When these cases arise, you need an experienced, insightful lawyer in your corner to explain your options and help you protect your rights and interests. You need a trusted Albuquerque divorce & family lawyer at Sutherland Law Firm, LLC. With extensive experience representing clients in a range of complicated, contentious family law cases, our attorneys have the knowledge, acumen and resources you can count on for exceptional counsel and advocacy in your case. We are ready to talk about your situation and explain your options for moving forward. We are also ready to explain how our counsel, support and guidance can get you through the difficult times and make all the difference in the outcome of your case. Expertise & credentials – Four decades of family law experience has empowered our lawyers with the skills and insight necessary to effectively represent clients in a range of complicated family legal matters, from divorce and custody cases to those involving paternity disputes, domestic violence allegations and other issues. Additionally, our attorneys are licensed to practice in New Mexico, as well as Texas and Michigan. Compassion & commitment – We are focused on more than just the outcome of a case. We work closely with each of our clients to fully understand their needs, concerns and goals. This allows us to explain their options and help them strategize to pursue the right course of action to achieve their objectives. Personal, responsive service – We customize our counsel and representation to fit your needs and goals. We are highly responsive and communicative so that you always know what is going on with your case – and so that you get the answers and information you need whenever questions or concerns arise. Record of success – Our attorneys know how to get results, regardless of whether a case proceeds through court or an alternative dispute resolution process, such as mediation. We have a long-standing record of helping clients achieve the best possible outcomes to their cases, and we are fully prepared to do the same for you. We are happy to provide references, testimonials and specific examples of our past successes upon request. 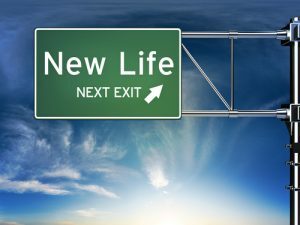 Let us help you get through the conflict so you can focus on your fresh start and the next chapter of your life. Call 505-293-9333 or email our firm for essential information and advice about your case and options. From offices based in Albuquerque, we are dedicated to providing the exceptional advocacy and effective representation to clients throughout New Mexico.